At Your Pace Online offers the highest quality CE courses, with the best value and most convenient access. Don't let your continuing education get away from you! Sign up today for instant access, any time that suits you. All of our courses below will count for Adjuster CE credit! Resident Producers & Adjusters must obtain 24 hours of continuing education to renew their licenses every 2 years. Each licensee must obtain 1 hour in Legislative Updates. 3 of the 24 total hours must be on an approved ethics topic. This course provides all 24 hours of CE that you need! This course will review key concepts and principles of Property & Casualty insurance. It includes 3 hours of Ethics, the 1 hour of MT 2017-2018 Legislative Changes requirement and 3 hours of NFIP review as well. No additional reporting fees. This course will apply to Insurance Adjusters as well. It will fulfill all 24 hours Montana Insurance Adjusters are required each renewal cycle. This course provides all the CE you need to renew your license and will review key concepts and principles of Life & Health insurance, legislative changes, Ethics and Flood Insurance. It includes 1 hour of 2017-2018 Legal Updates, 18 hours of Life & Health content, 3 hours Ethics credit, 3 hours NFIP and the mandatory exam. No additional reporting fees. This course provides 18 hours of CE! In this course, we'll review key concepts and principles of Life & Health insurance. No additional reporting fees. 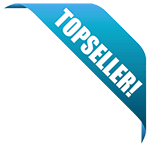 This course will apply to Insurance Adjusters as well. It will fulfill 18 of the 24 hours Montana Insurance Adjusters are required each renewal cycle. 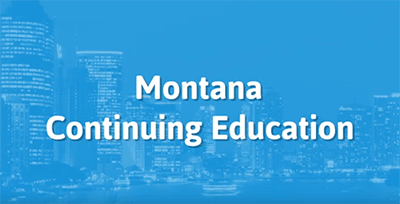 This course provides Montana Insurance agents with 18 hours of CE credits and covers key concepts and principles of Property and Casualty insurance. In addition to reviewing some fundamentals of property and casualty insurance, we'll cover general insurance concepts such as defining risk and risk managment. We'll cover topics such as negligence, liability and damages and policy structure and so much more. Click More for more details. This 8 hour class is approved by the State of Montana. It meets the mandatory education requirement to start selling Long Term Care Insurance. No additional reporting fees. This 4 Hour course will meet your one time Certification Requirements to start selling Life Insurance Annuities in the state of Montana. No additional reporting fees. This course will apply to Insurance Producers/Adjusters as well. It will fulfill 4 hours of life insurance CE. This 3 Hour course will meet your one time Certification Requirements to sell Flood Insurance in the state of Montana, and will apply to Insurance Adjusters as well. It will fufill 3 of the 24 hours Montana Insurance Adjusters are required each renewal cycle. No additional reporting fees. This course applies to producers in all lines. This course satisfies 3 hours of ethics training for any Montana insurance producer. No additional reporting fees. This course will apply to Insurance Adjusters as well. It will fufill all 3 of the required Ethics hours Montana Insurance Adjusters are required each renewal cycle. This 1-hour legal update course is designed to meet the renewal requirements for Montana insurance producers. In the course, we will cover the administrative rule changes that have been proposed in order to bring the Administrative Rules of Montana into compliance with changes to state law. Some of the biggest changes we will cover are the changes to Medicare supplement insurance, new regulations for payment of air ambulance services, and new rules for Corporate Governance Annual Disclosure. This course provides 1 Hour Limited Lines Credit Continuing Education! No additional reporting fees.